Did you know that each month you can ask the Dog Cancer Vet, Dr. Demian Dressler, questions about coping with your dog’s cancer? 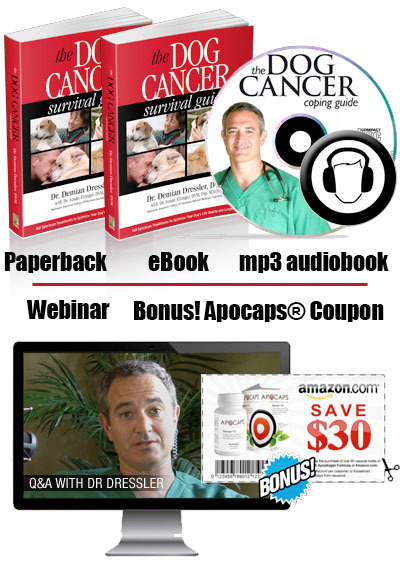 When you purchase the Dog Cancer Kit, you will have access to a monthly live webinar with Dr. Dressler. These webinars typically last about an hour and you can participate via telephone, Skype or listen online. Best of all, during these seminars you’ll have the opportunity to ask Dr. Dressler specific questions about your dog’s cancer. You’ll also learn what’s new in cancer therapies and how you can apply these therapies to your dog’s care. If you can’t be there for the live chat, you can email your questions ahead of time then download the podcast afterward. As a Dog Cancer Kit buyer, you will have access to one year of podcasts filled with valuable information about canine cancer. What’s the Dog Cancer Kit? Dr. Dressler’s Dog Cancer Kit is an essential tool for anyone who has just received the news that their dog has cancer. Dr. Dressler’s famous “full spectrum approach” shares the latest information on both holistic and traditional cancer care therapies. 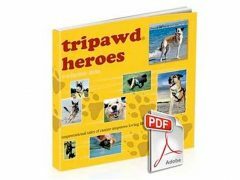 As you’ll read in our Dog Cancer Survival Guide book review, we give three paws up to Dr. Dressler for his approach of embracing all treatment options. 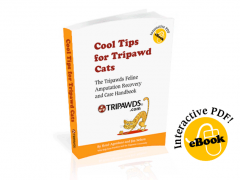 Many Tripawds members have followed his suggestions with good results, and we’re confident you’ll find lots that can help you during your own journey too.